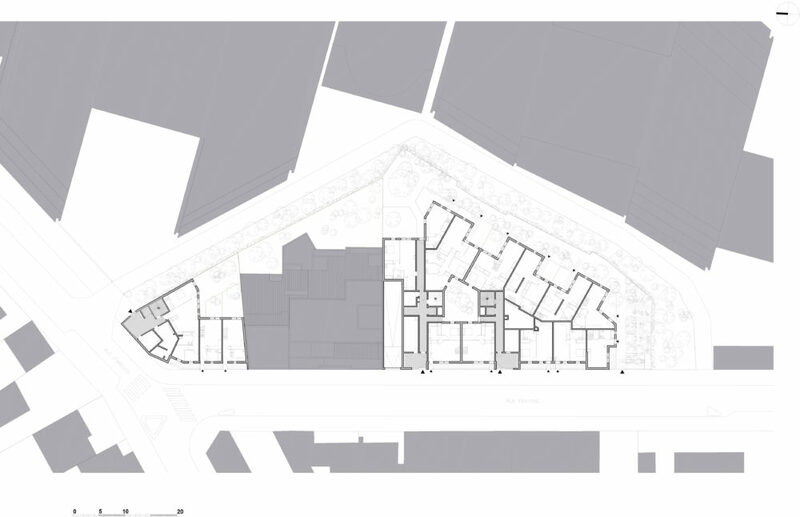 This project comprising 70 home ownership housing units is located in the lower part of Gentilly near the bed of the Bièvre, a river now channelled and underground. The promoter, Pichet Promotion, has acquired two non-contiguous plots, one on the intersection of Rue d’Arcueil and Rue Fraysse, the other alongside this latter. The landscape of the district at the bottom of the valley takes the form of single family homes, collective housing, offices and activities. The A6A motorway is not far and the hillside and eponymous park overlook the site. There are gardens and houses to the rear of the plot behind the planted perimeter of the Sanofi offices. 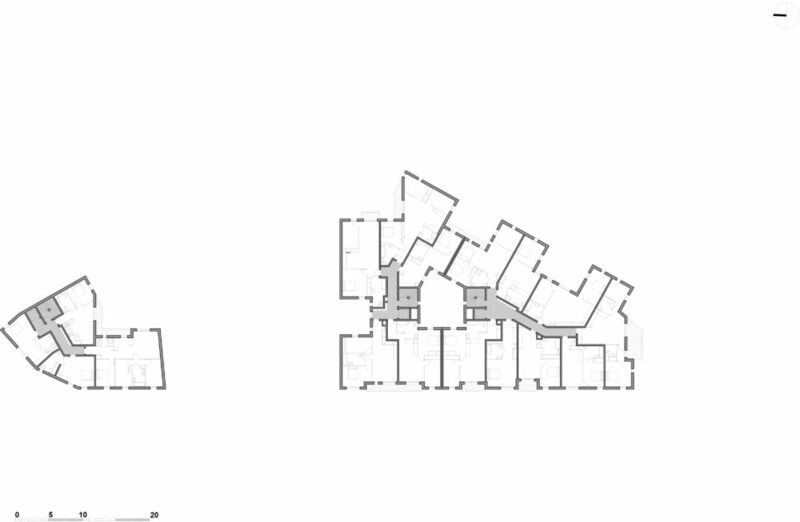 Because of their triangular shape, the two sites called for a “different” approach given that there were to be 12 apartments on one plot and 58 on the other. The local urban development plan (PLU) rules require that the two buildings must be set back from the street as from the 6th level.